the US on AT&T and T-Mobile. 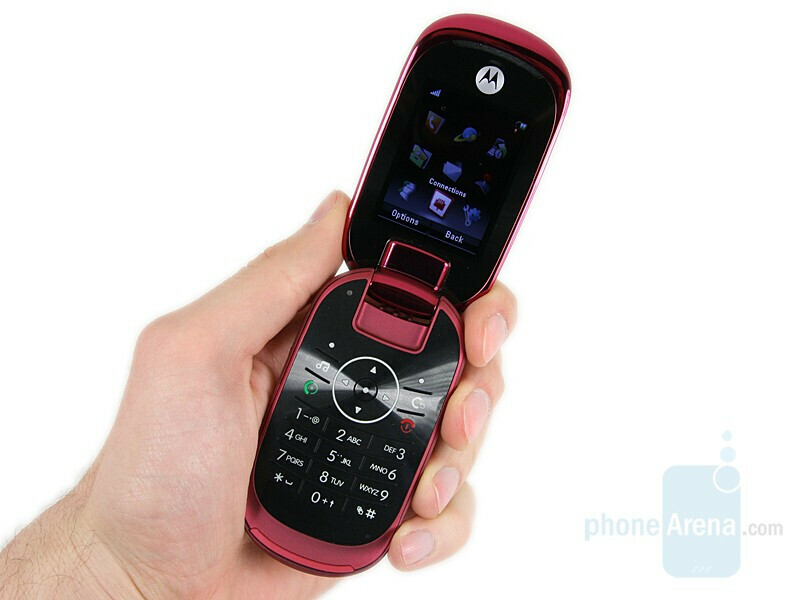 Today, here is the second generation Motorola phone with this design language, the MOTO U9. 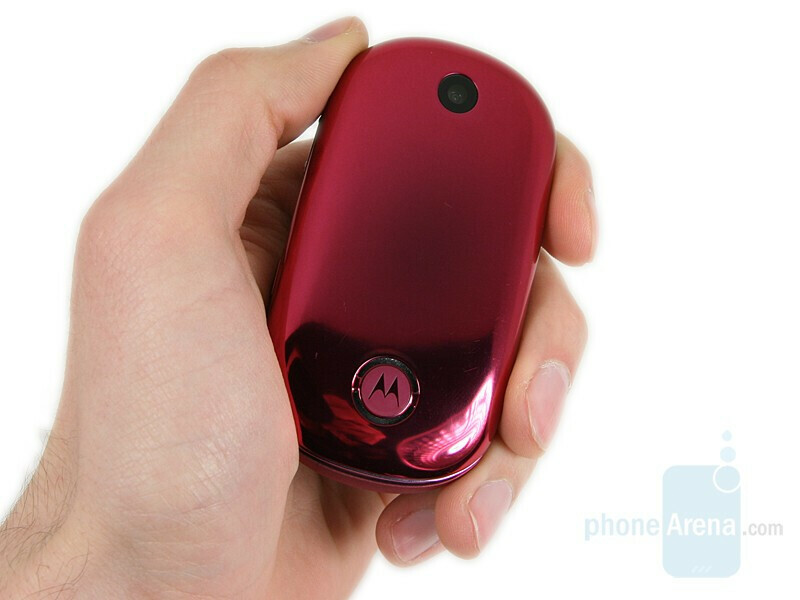 Strangely, Motorola has dropped the PEBL line-name and has branded the new phone just as MOTO itself. However, the look is similar and the soft forms definitely make it stand out. That is the key feature of the phone: it is for people who want a well looking device, but are bored of the slim phones available on the market, which are very similar. The whole look of the closed U9 brings harmony – just as a natural pebble, it has soft rounded corners, with no sharp edges. 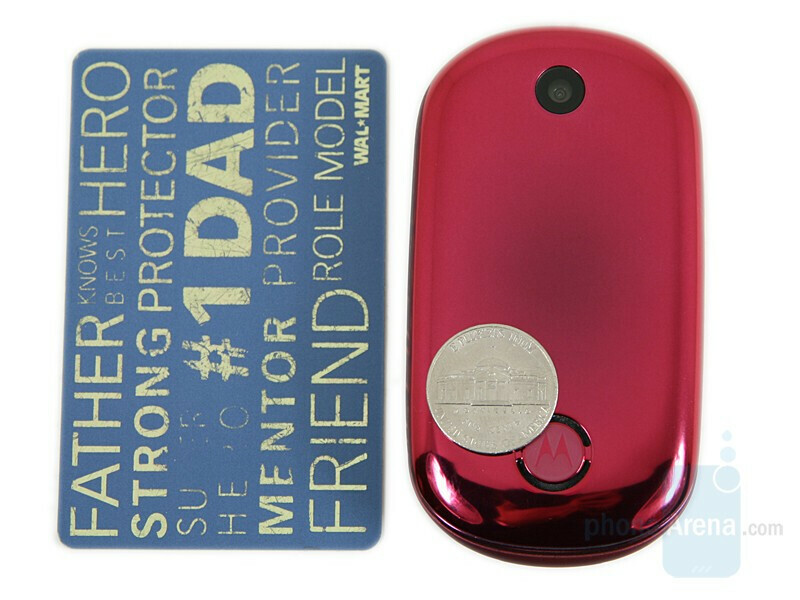 Every element is made to match, without distracting from the overall appearance of the one-piece device. 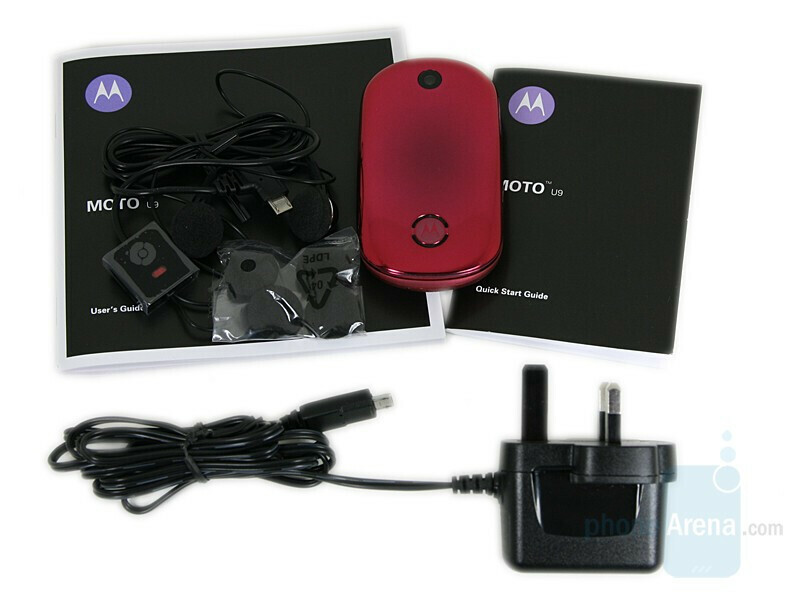 Only the Motorola logo (with the speaker) and the camera lens are distinguished on the front; both are circular, merging with the design. Between the two is situated 128x160 pixels OLED display, and a line of music controls. They completely disappear when unused and it is surprising to see them once they are illuminated. Unfortunately, the display isn’t bright enough and is absolutely unusable in sunny days. Additionally, some may not like the fact that it has a pink tint, but it won’t be a problem for those who actually bought the pink phone. You can compare the Motorola MOTO U9 to many other phones, using PhoneArena's Visual Size Compare tool. Strangely, the front surface isn’t really a fingerprint magnet and stays relatively clean, but unfortunately scratches are made very easy and only after a couple of days of usage there are a few marks. Obviously, this is the reason for the rest of the body to be made of a math-colored metal. On the left side are the volume rocker and the select key and on the right is the voice command key. Only the rocker has small buds, but all can be felt by touch. 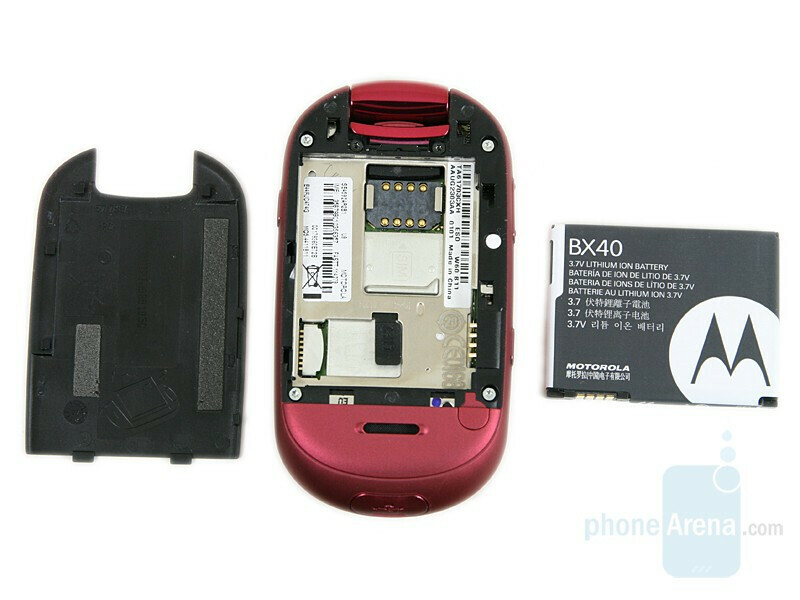 The microSD card is inconveniently situated under the battery. Being a typical clamshell, U9 must be opened to be used as the keys on the front work only for changing the track (during music playback) or pausing. Unfortunately, the unique one-hand opening mechanism from the U6 is gone and this one must be opened as any other phone with this form factor, by using both hands. 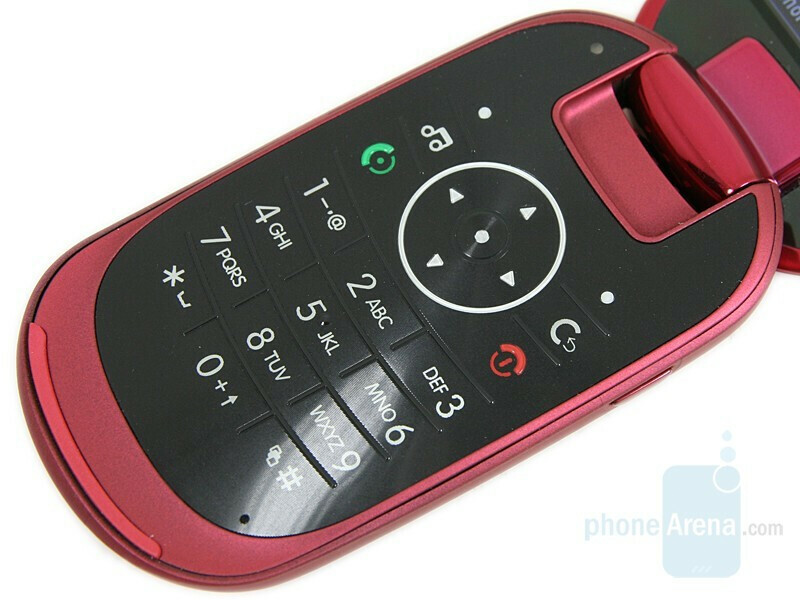 On the inside, there are the RAZR-like flat keypad and the main display. We don’t really like the black color dominating here, it is simply out of place. It would fit the dark grey color variant, but if the Pink is your choice – definitely take a look at this and decide if you’ll live with it. The keys are not huge, but are well sized and have good movement. The fact that a dedicated music shortcut is present, is interesting. We only had problems pressing the area above the soft keys, but once you get used to it, everything is ok. On the other hand, although pretty good indoors, the display is a disappointment outdoors (in sunny environment). It remains visible, but is rather hard to read the information from it. It is two-inches large, with QVGA resolution and 262 thousand colors, typical for the mid-level class. It seems like it's a little stuck in the past as far as technology is concerned, however the model makes it seem like it's full of cutting edge technology. The camera is dissapointing, and the phonebook stores more than 500 contacts. I suppose this is a good phone for teenaged-aged consumers who care more about the looks of their phone, and the mp3 capability, than the full capabilities. I love the style of this phone though...It looks really cool. 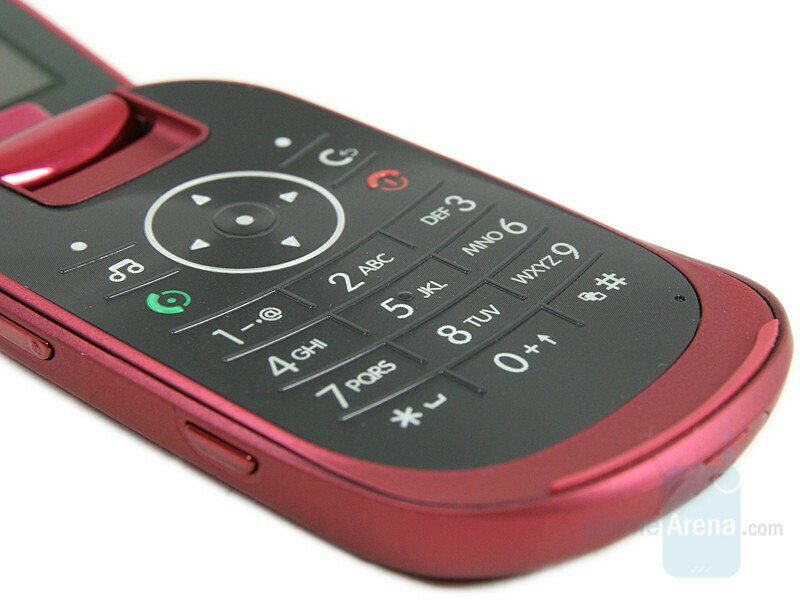 The Motorola U9 is a ROKR branded phone, even go on Motorola's website it'll say ROKR U9. Rokr U9 is for style & uniqueness, I am surprised for its Music capabilities, The unique graphics on the front hidden display is very eye catching, But it doesnt have the vibration feel as in V8 external music keys, I am missing that.... Overall I liked the phone. 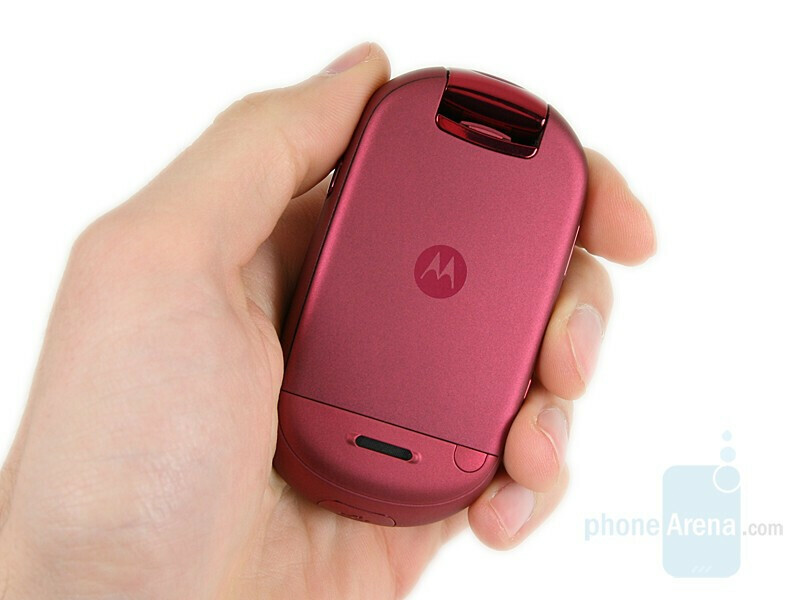 This phone is pretty sweet, the low media capabilities are a bit disappointing, especially for a ROKR, but MOTOMAGX is awesome, it just needs to be updated to support 3G!! The looks are awesome, and if it was on sale in the U.S for around $100 with a 2 yr contract, it would sell.